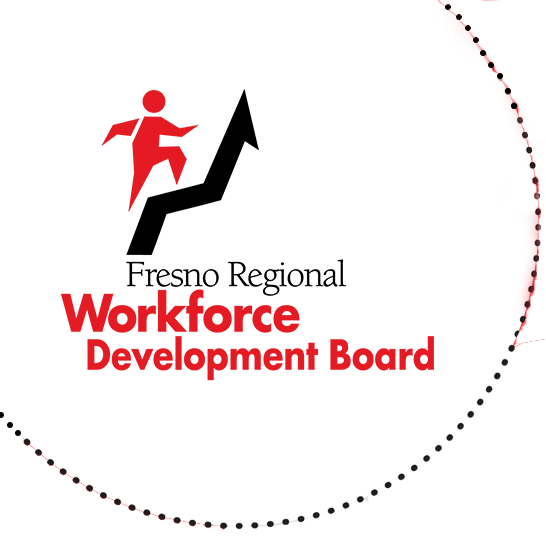 The Fresno Regional Workforce Development Board (FRWDB) is a Joint Powers Authority between the City of Fresno and the County of Fresno. We manage Workforce Innovation and Opportunity Act (WIOA) funding, disbursed by the United States Department of Labor, to provide services that will ensure our participants find jobs and that businesses have access to a skilled workforce. The Fresno Regional Workforce Development system is a Joint Powers Authority between the City and County of Fresno, in partnership with both the public and private sectors and exists, primarily, to assist local businesses in meeting their human capital needs. In this, we both (1) screen and train prospective new employees and (2) assist in upskilling existing employees. By offering such quality referral and training services, directly linked to local industry needs, we are of greatest benefit to our unemployed and underemployed clients. To fully engage all available public and private resources to ensure that the Fresno Regional Workforce Development system is the premier source for the human capital needs of growth industry clusters within Fresno County. To integrate education and workforce preparation to assist the best companies in Fresno County to remain and thrive in our local community, achieving sustainable economic growth. To concurrently assist our unemployed and underemployed residents to achieve a higher quality of life by access to such careers in growth industry sectors.